Looking for a great view of Wellington City, well Mount KauKau offers spectacular views of the city and 360 degree views of the entire region. The South Island can be seen on a fine day. 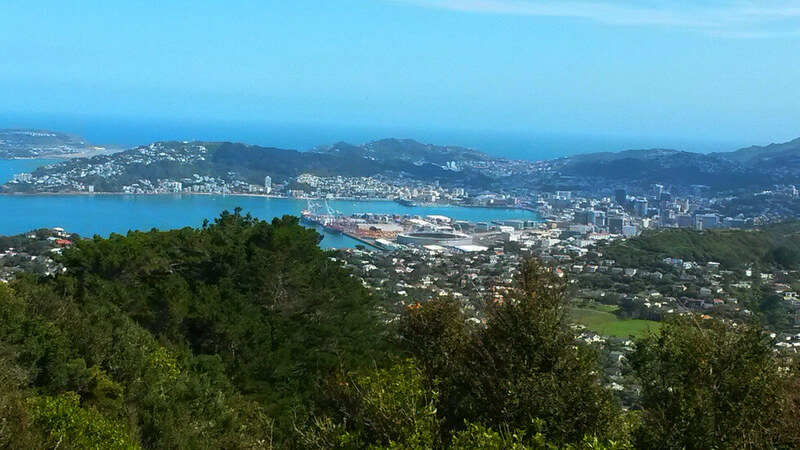 This 4 kilometer Wellington day walk will take 1.5 to 3 hours, with an average level of fitness required. 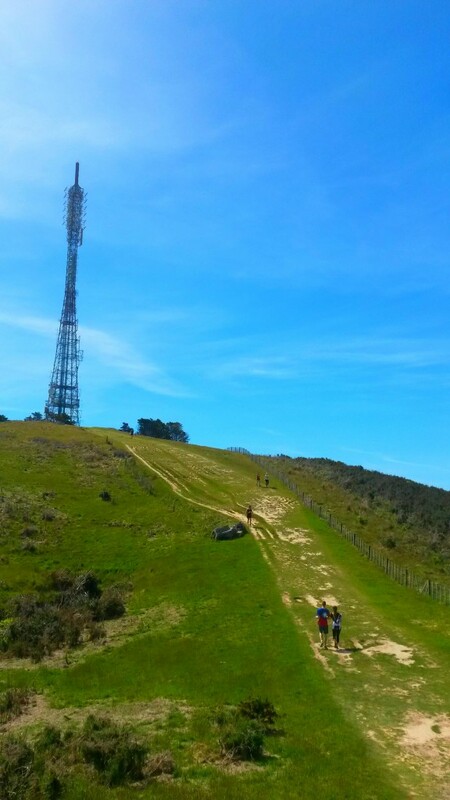 The television transmitter tower on top is one of the most visible landmarks in Wellington, Mt Kaukau stands at 445m above sea level. 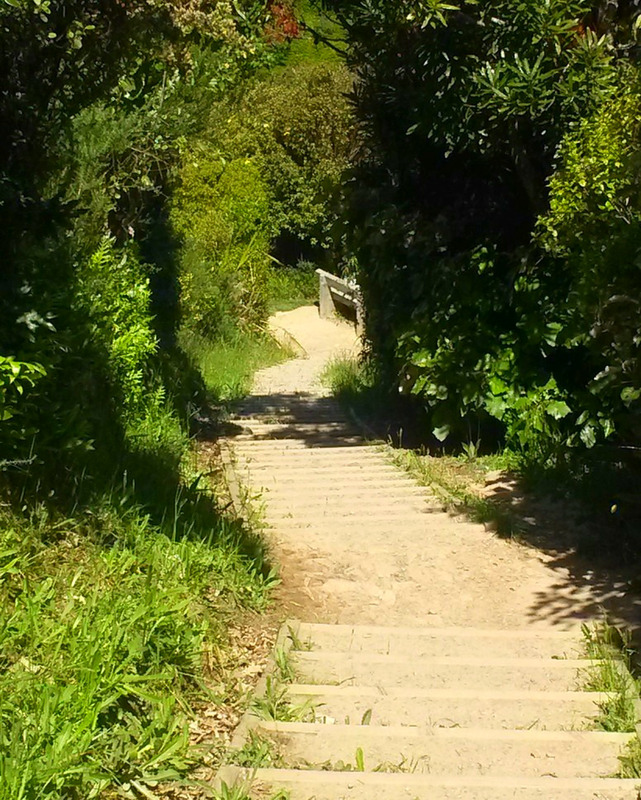 This Wellington day walk starts and finishes at Khandallah Park which is at the end of Woodmancote Road, Khandallah. There are a number of other entrance ways and other tracks that will get you to the top of Mt Kaukau, however this walk is a loop which takes you up the north ridge and back down the south ridge. There’s a carpark, toilets, swimming pool, park for kids to play and a cafe to enjoy a coffee or snack when you finish. From the carpark follow the path past the cafe and swimming pool…take the track to the right, which says Mount Kaukau via the Northern Walkway. This track climbs up the north ridge for 30 or 40 minutes where it merges with the Northern Walkway and the Te Araroa tracks. On the way up there’s a couple of turn offs…keep climbing up and once on the Northern Walkway and Te Araroa tracks its 10 to 15 minutes to the top of Mt KauKau. At this point you’re on a 4 wheel drive track, above the bush line with great views as you make your way to the top. There is a viewing platform, bench seats and picnic tables in front of the tower…enjoy the view, take plenty of photos, have a drink and a snack…then descent the South Ridge back to the car-park at Woodmancote Road. If using public transport you can either return to Woodmancotes Road or stay on the South Ridge which leads to Simla Cresent. Simla Cresent train station is a 4 minute walk from the end of the track. If you want a slightly shorter walk than the loop described continue past the swimming pool and up onto the south ridge, returning the same way. Check-out the maps below…traveling by car there’s plenty of parking at the end of Woodmancote’s Road. If using public transport, take the Johnsonville Line Train to Khandallah Station…it’s a 10 minute walk via Box Hill and Woodmancote’s road to the start of the walk. There’s also bus 43 or number 44 to Clutha Avenue in Khandallah…it’s a 12 minute walk from there. To print the above map, click on mapometer.com at the top of the map. The printing and PDF option at the bottom of this page will print or download the post except the map. Once you’ve clicked on mapometer, the link will take you to the printing or export option. If mapometer asks for your location decline, otherwise it will take you to your location and not the above map. This map gives great information for getting to the start of the track, however it’s only a guide of the route, for more detail on the track click on the topomap below, this can also be printed. What to take hiking, check-out my blog on hiking gear. If I ever get the chance to visit Mount Kau Kau I know where to turn! This hike looks so wonderful! Thanks for providing a map! Very helful! Wow! Kau Kau looks really beautiful. I love outdoorsy stuff and for sure if I am ever that way I would take the walk. It looks amazing, but is it free to take the routes or do you have to pay? Thanks for stopping bye and leaving your comments. Yes the walk is free…actually all Parks and National Parks in New Zealand are free to use. The only time you would need to pay is if you were planning a guided walk. 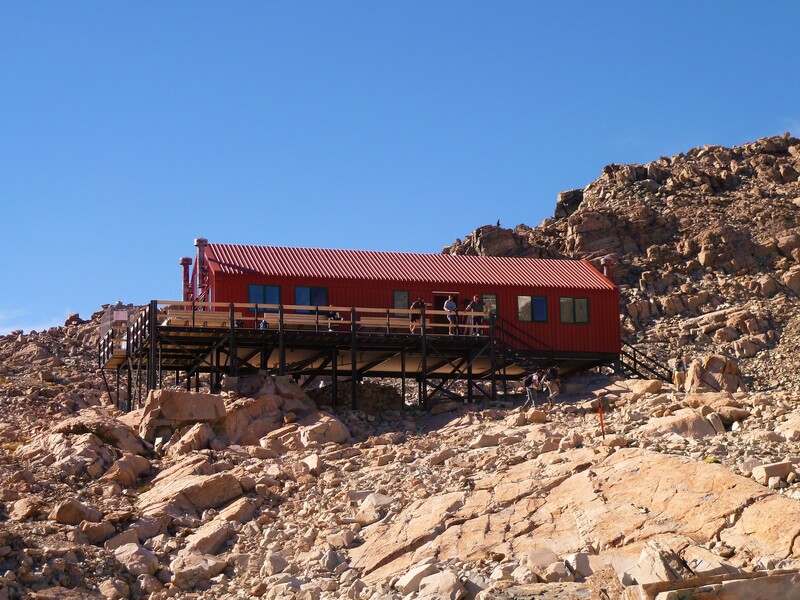 For any multi-day walks huts fees are normally the only additional cost.